It is week 16 in the review of the CRM Field Guide chapters from the book – The CRM Field Guide – How to CRM Like an MVP with Microsoft Dynamics CRM. This week it is the 26 page CRM for Outlook Optimization and Troubleshooting chapter. This is one of the chapters in the book that is best suited for reference by the CRM administrator or power user. It discusses troubleshooting methodologies for CRM Outlook Client issues and explains some of the behind the scenes considerations in configuring the client settings. One of the best parts of the chapter is that it clears up the purpose of the address book settings and explains why it isn’t the same thing as the synchronization settings. In the diagnostics part of the chapter step by step procedures are outlined for getting to the root of CRM Outlook client issues quickly. One item I like here is the listing of the location where trace files are stored. This isn’t provided in the diagnostic Window where tracing is turned on. And the file path isn’t one that would normally be intuitively found. Note: I need to fess up. This isn’t actually week 16 in the review of the Field Guide. It has been 3 weeks since I have been able to do a post. Between a week in Seattle at the CRM MVP Summit and then last week being in New Orleans for the Convergence event and then throw in a few client projects, postings have been delayed. But kind of like the space shuttle launches, the countdowns have been put on hold and now they are picking up where they left off. 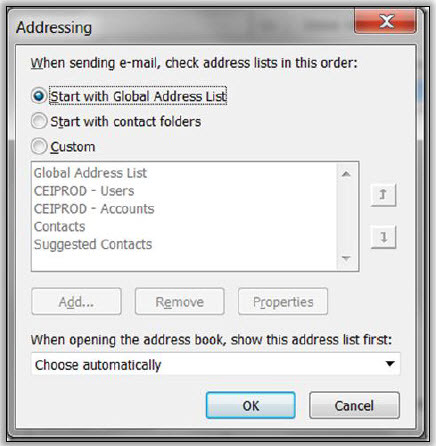 KB2600640 and CRM Update – What’s Up?